Call 020 3746 1366 or fill up the online contact form, and our 24/7 customer assistants will give you a non-binding and free price estimate, as well as discount information. We have well-trained roof cleaners who can deliver high quality house roof cleaning. Pressure washing equipment is used to rip out mould, mildew, algae, unsightly stains as well as any moss from roofs. Your roof needs to be properly cleaned out on a regularly, so that your residence looks fine, and so that no harm will occur due to dirt and all the other dangerous clumps on it. The problem with microorganisms that dwell on your roof is that they may “eat off” the roof if left untreated for long time. Our company provides a reliable and inexpensive roof cleaning service, which will save you the difficulties of having to go up on your roof or on a ladder to perform the cleaning your self. Stay safe, and request our fully insured cleaning service right now. For a professional cleaning of any form of windows, gutters and roofs, do not hesitate to get in touch with us now! It's good to clean your gutters at least once every year, to avoid gutter and downpipes clogging and water damage to your home. Ashlee House Cleaning has vetted, skilled and experienced gutter cleaners who can efficiently clean out any twigs, leaves and other rubbish. They will ensure that you get your gutters clean with the help of telescopic pipes with cameras, connected to powerful water or dry vacuum cleaner. You will be provided with before and after photos of the condition of your gutters and downpipes. This service is offered with a 30 days quality guarantee, and we will return to clean again if they get clogged during that time. We have a very effective system for service appointments. Our customer support team is available 24/7 to process your requests. Just call 020 3746 1366 or complete our booking form. Throughout the next 2 hours you will be sent an e mail affirmation for your booking. Our expert window cleaners will clean not having any ladders and without hanging out into your house windows if you are up to the 4th floor. Our services are available at acceptable prices, with no concealed fees. Book more than 1 service and you will spend less both time and money. There are special offers for those who book earlier, for our frequent clientele, as well as for regional property firms and landlords. 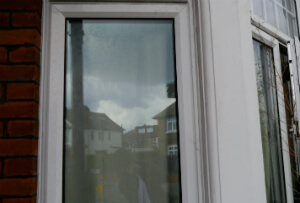 And so, if you wish your windows perfectly cleaned - book our window cleaning North Ockendon RM14 service now!